America has more job openings than ever before. 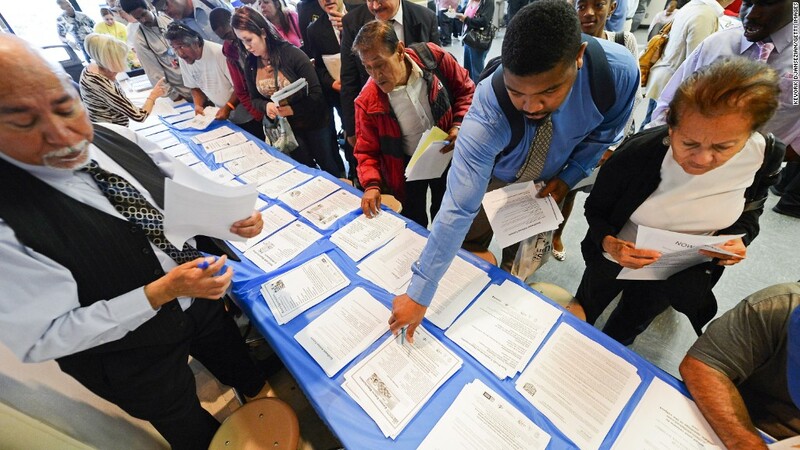 There were 6 million open jobs in the United States in April, a record high, according to data released by the Labor Department Tuesday. It comes at a time when 6.8 million unemployed Americans are looking for a job. It reflects a mix of good and bad news. The good news: Employers are ready to hire, and likely willing to pay higher wages to new workers. During the Great Recession, job openings were as low as 2.2 million in 2009. "If one is looking for a job, it's out there," says Peter Boockvar, chief market analyst at the Lindsey Group, a research firm. "It just may not be exactly what is wanted." The bad news: With a similar amount of job openings and unemployed workers, it may make one wonder why those unemployed workers aren't able to find jobs. What the numbers illustrate is one of the key problems that has plagued the U.S. labor market in recent years. Job seekers tend to lack the skills in demand, they're not willing to move to jobs that are available, or employers have unrealistic expectations. Start with the last one. During and after the Great Recession, employers had the upper hand and could be choosy about who they hired because unemployment was high and openings were scarce. They could raise job application requirements like asking for a college degree, even if the job didn't necessarily require one. The U.S. has also long struggled with a job skills gap, which is a result of an aging workforce, the rapid pace of automation, and a lack of effective job training programs. It also depends on location and the type of job. In April, there were 2.1 million open jobs in the Southeast United States, the most of any region. The Northeast, the most densely populated, had the fewest number of job openings, 1.2 million. On top of that, openings vary by industry. Manufacturing and mining job openings declined in April. Construction job openings were up. Openings in business services were down a bit while those in health care rose. However, those two industries far outpace others in job openings, with 1.1 million each. They also both tend to require a bachelor or associate's degree.